Craving for some authentic Iranian breakfast? Then visit Irani Cafe. Located in Viman Nagar, this Iranian restaurant serves great food. Even though it's not a very old restaurant, they do have a traditional Irani taste. They open at 6am for breakfast. The ambience will remind you of the olden days of Irani restaurant culture. The service is very prompt. Their menu has a long list of items to choose from. 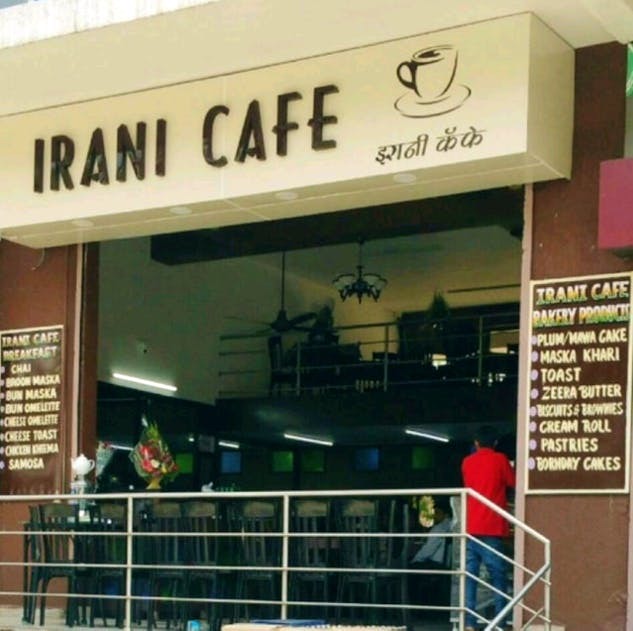 Of course typically what Irani restaurants are famous for is bun maska, burun maska, omlette, chicken kheema and kheema gotala are dishes you should definitely try here too. Do not miss the authentic Irani chai served with mint, sugar cubes and dates. Go on a empty stomach as you may land up over eating! They sell bakery products too off the counter which you can shop from cakes, biscuits , breads and more!